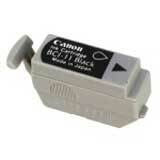 Premium Quality 0957A003 Black Inkjet Cartridge (3 pk) compatible with the Canon BJC 35, 50, 55, 70, 80, 85, 200c, 700c, 750c. The use of compatible supplies does not void your printer warranty. 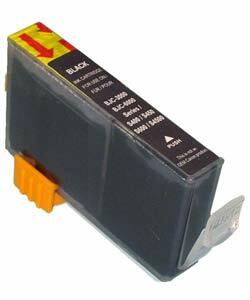 Premium Quality 4479A003AA Black Inkjet Cartridge compatible with the Canon BJC 3000, 3010, 6000, 6500, I 550, I 850, i560, i860, MultiPass C100, C400, C600, C755, F30, F50, F60, F80, MP700, MP730, PIXMA iP3000, iP4000, iP5000, iP6000D. The use of compatible supplies does not void your printer warranty. Premium Quality 4485A003AA Photo Black Inkjet Cartridge compatible with the Canon BJC 3000, 3010, 6000, 6500, I 550, I 850, i560, i860, MultiPass C100, C400, C600, C755, F30, F50, F60, F80, MP700, MP730, PIXMA iP3000, iP4000, iP5000. The use of compatible supplies does not void your printer warranty. Premium Quality 92275A Black Toner Cartridge compatible with the HP LaserJet IIIP, LaserJet IIP, LaserJet IIP Plus, Apple Personal Laserwriter, Laserwriter LS, LaserWirter NT, Personal LaserWriter NTR, LaserWriter SC, Brother HL 4, HL 4ps, HL 4v, HL 4ve, HL 6, HL 6v, Canon LBP 4, LBP 4 III, LBP 4 Lite, LBP 4 Plus, LBP 4sx, LBP LX, P 110, DECLaser 1100, DecLaser 1150, DecLaser 1152, DEC LN07, Konica Minolta PS 410, PS 420 . The use of compatible supplies does not void your printer warranty. 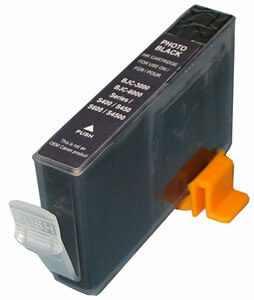 Premium Quality EXV343782B003AA Black Toner compatible with the Canon IRC Advance 2020, 2025, 2030. The use of compatible supplies does not void your printer warranty.